Nagarkot Day Hike, wonderful way to escape city life for few hours in vicinity of cool mountain fresh, clean air, a walk that keeps you fresh with enjoyable time on the high ridges and hills within Kathmandu valley rim. 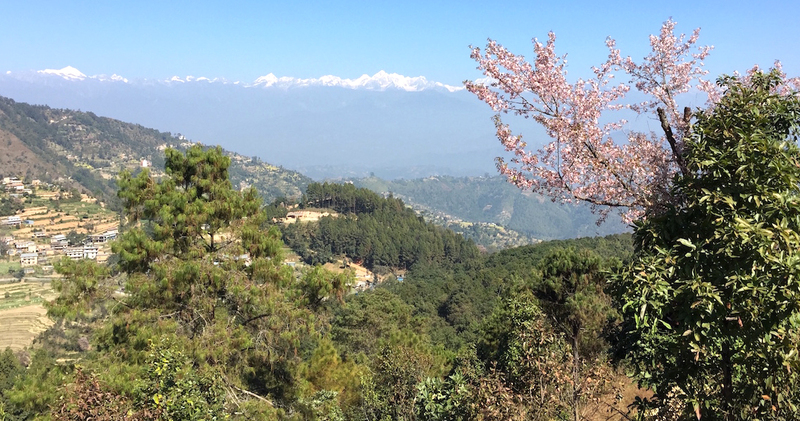 Nagarkot Day Hike takes you to traditional rural farm villages and into cool shade of forest within rhododendron-magnolia-oaks-pines and fir tree lines with exceptional views of Central and Mid-West and Mid-East Himalayan range of peaks. Beside mountain where you can catch fabulous landscapes views of rolling hills and lovely farm villages along the walks towards high and scenic Nagarkot Hill, where our hike concludes for a drive back to Kathmandu. Nagarkot which is about 28 k.m. away from Kathmandu of little more than hour drive towards east highway, after getting close to Bhaktapur outskirt heading towards high winding road to reach at serene spot at Nagarkot within cool fresh mountain air. 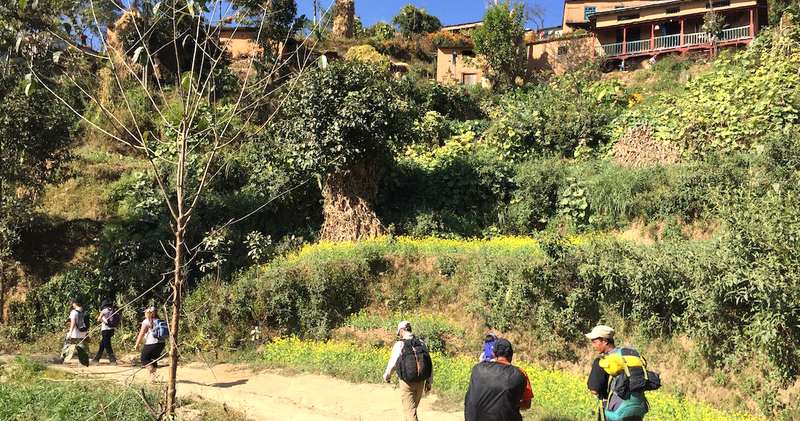 A short and easy trek from Kathmandu to Nagarkot is perfect trip for beginners, families, small groups and elderly people. Trekking to this beautiful village is best all the time in a year. You will have an fantastic experience even during winter and monsoon where other treks to high altitudes during this time is not highly recommended. Day 1 : Arrival in Kathmandu 1,350m and transfer to hotel on private vehicle. Drop and pick up from and end. Entrance fees of the temple. Day 1 Arrival in Kathmandu 1,350m and transfer to hotel on private vehicle. Morning depart from the hotel after breakfast where our guide will you around 7 a.m. where short drive leads you to outskirt of the city to reach at the end of the valley rim in a nice religious and historical town of Sankhu. Sankhu a peaceful small town with an old name Shankharpur according to ancient and classic Sanskrit language and present name known as Sankhu, served as exit point to Lhasa of Tibet in earlier days of Trans Himalayan Caravan Trade Route. After a short visit of its important areas walk leads up leaving the town towards rural farm villages and into cool shade of forest, as walk leads on winding uphill at Jarsing Pawa a nice and lovely village with views of Himalayan peaks includes towering Gaurishankar, Melung Tse, Dorji Lakpa and Langtang Himal. This village with nice tea-garden and a place for Para-gliding as well, from here on nice trail along with the mountain views to reach at Kartike Bhanjyang located on a low ridge of Nagarkot hill. From here with climb on side trails into pine woods to reach at famous Nagarkot hill top and the highest of day hike. Nagarkot, a scenic hill top of Kathmandu valley, located at 2,100 m high east of Kathmandu and north from medieval city of Bhaktapur, a famous and popular among city folks of Kathmandu to escape city hustle and bustle busy city life. 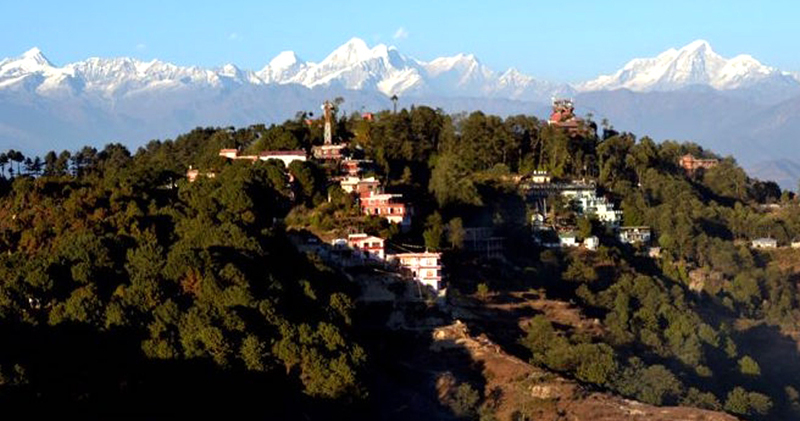 Nagarkot placed on serene location with incredible panorama of Himalaya ranging from Manaslu-Ganesh Himal in the west with Langtang and Jugal Himal towards north and Everest range of peaks in the eastern horizon, where one can have fabulous and stunning sunrise views from hotel terraces or view points at Nagarkot. 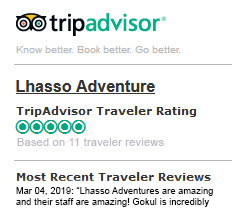 With interesting time at Nagarkot having lunch in one of its fine restaurants with views of mountains then drive back to Kathmandu with optional tour of Bhaktapur city or drive straight back to your hotel in Kathmandu. Max Altitude : Nagarkot 2,100 m high. Walking Per Day : 5-6 Hrs. Accomodation: On Hotels and Resorts. Best Season : Nearly all seasons of the year except wet monsoon months (June to August).